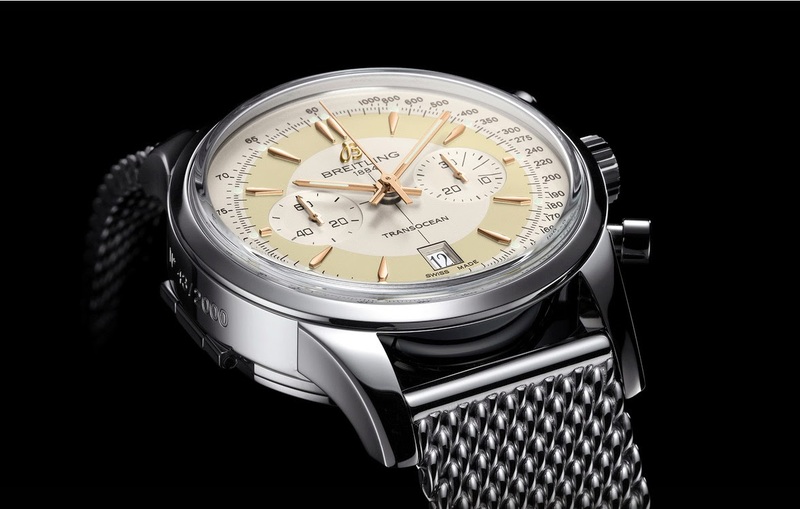 Following the Transocean 38, Breitling presented the Transocean Chronograph Edition limited series which maintains the contemporary classic style typical of the Transocean line. Inspired by a model from 1958, the new Transocean Chronograph Edition features a two-tone dial with two vintage-style counters, a date window at 6 o’clock and an unexpected double caseback complete with a cover. 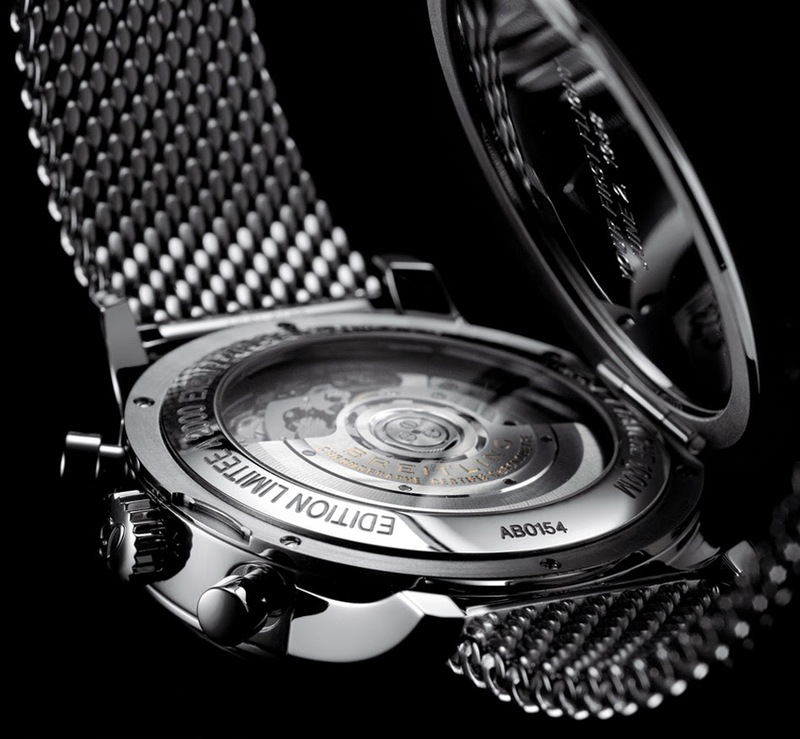 The 43 mm steel case is characterised by classic lines with a double back protected by a cover that can be used for a personalised engraving and a sapphire crystal which reveals the in-house manufactured Breitling Caliber 01, a selfwinding chronograph movement chronometer-certified by the COSC (Swiss Official Chronometer Testing Institute) which beats at 28,800 vibrations per hour and offers a power reserve of 70 hours. 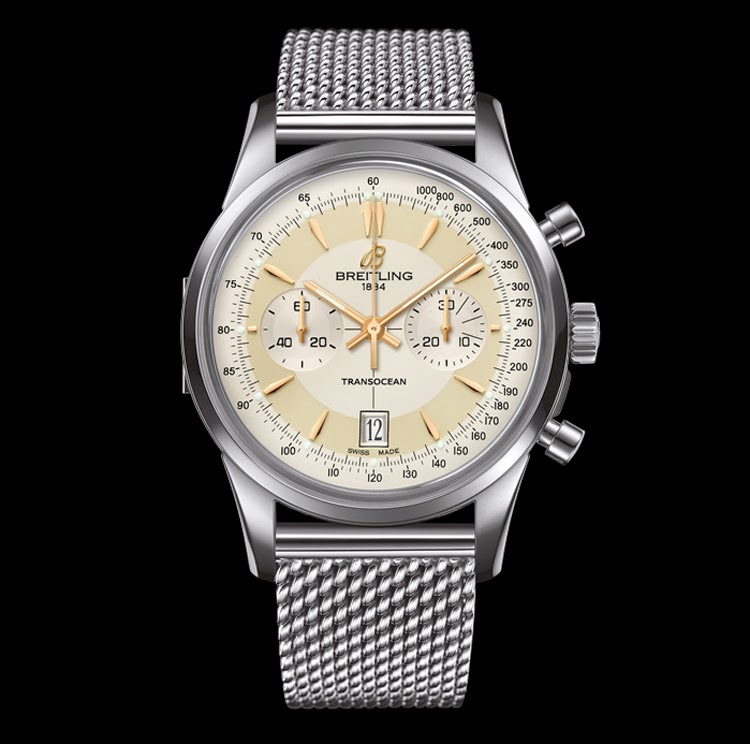 Issued in a 2,000-piece limited series run and water resistant to 100 mt / 330 ft, the Breatling Transocean Chronograph Edition can be matched to a steel mesh bracelet or to a leather or fabric strap. 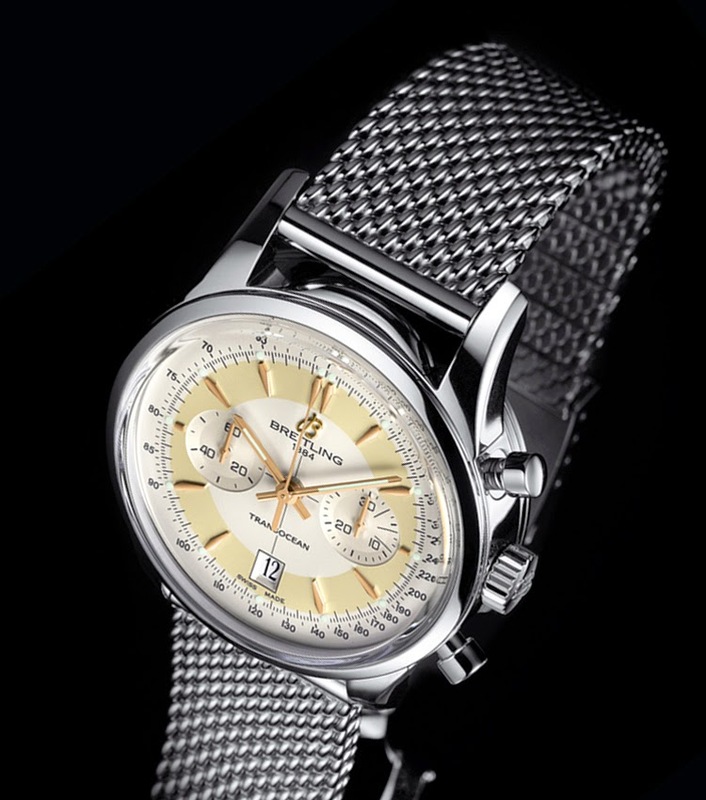 Breitling Transocean Chronograph Edition. 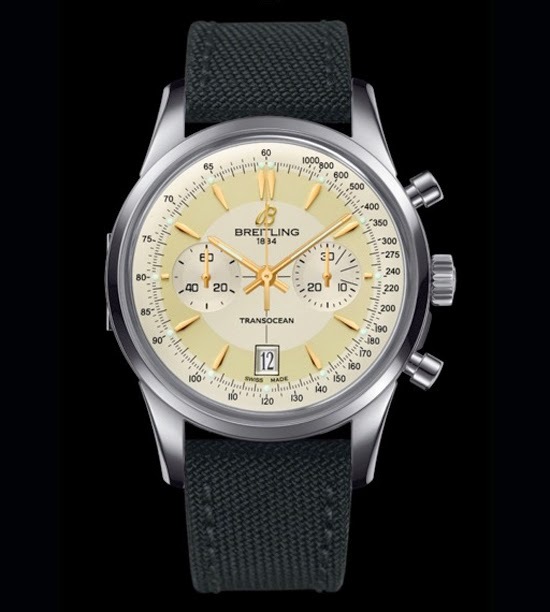 Following the Transocean 38, Breitling presented the Transocean Chronograph Edition limited series which maintain the contemporary classic style typical of the Transocean line. Issued in a 2,000-piece limited series run and water resistant to 100 mt/330 ft, the Breatling Transocean Chronograph Edition can be matched to a steel mesh bracelet or to a leather or crocodile leather strap.